An injury cloud hangs over World No. 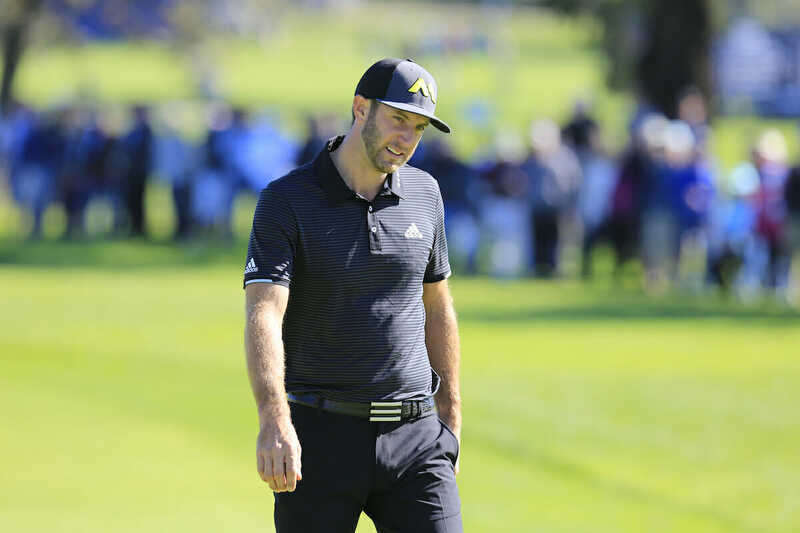 1 Dustin Johnson and Masters hot-favourite after the American injured his back falling down a staircase of the house he is renting in Augusta. In a statement released by Johnson’s agent, David Winkle, it said “At roughly 3:00 pm today, Dustin took a serious fall on a staircase in his Augusta rental home. The reigning U.S. Open champion has captured his last three events and is looking to win a fourth in succession that would see him fitted with an Augusta National members green jacket. The injury ruled out Johnson attending Wednesday night’s annual Golf Writers Association of America awards dinner . Johnson had practiced at Augusta National on Wednesday before play was suspended and later cancelled with the threat very severe storms. And bizarrely, Johnson attended a formal Masters media conference on Tuesday when he was asked his chances of winning the Masters. “I’ve got a lot of confidence in my game right now, especially with the way I’ve been playing the last few tournaments,” he said. And it also not the first occasion Johnson has been injured due to a freak accident. In 2012, he withdrew from the Masters after his agent said he hurt his back lifting a jet-ski.